For micro-project 5, my group’s (Myself, Bryan, Si Hui, Reuben and Ying Hui) concept revolved around capturing the destruction of art through performance art and media. First, we printed a photo of one of world’s most famous artwork – Mona Lisa by Leonardo Da vinci. This renaissance artwork is highly regarded, thus, belonging to the “high renaissance” period, a period of grandmasters with impeccable skills. 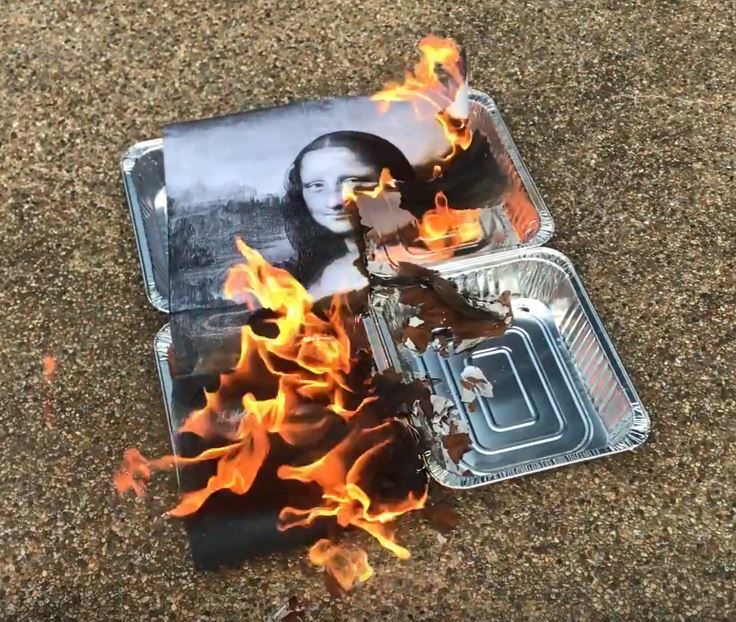 Then, we set the printed photo of the painting on fire and recorded it. The art of destruction. The destruction of art. 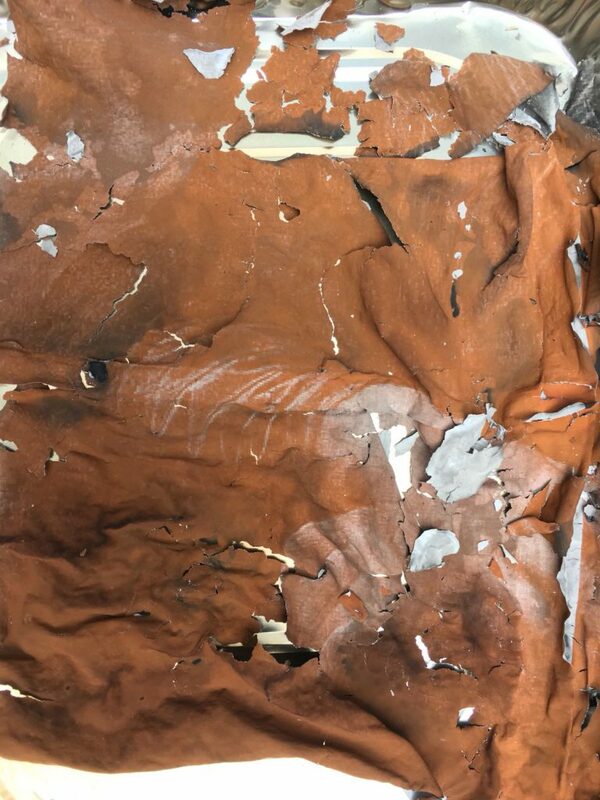 By burning this artwork down to ashes, we wanted to bring about the notion of seeing the destruction of art as a form of art. We “embrace accidents”, or even, we create them. One may see it as literally destroying art, but the element of deconstruction in the destruction process was that we wanted to highlight. We wanted to highlight that destruction could even be in something which everyone admired and thought highly of. We also wanted to show a deviation from the norms of “art”. As art is usually thought of as classy and placed in a museum, or even a bulletproof glass (for the Mona Lisa), we wanted to rebel against this perfectionist mindset. 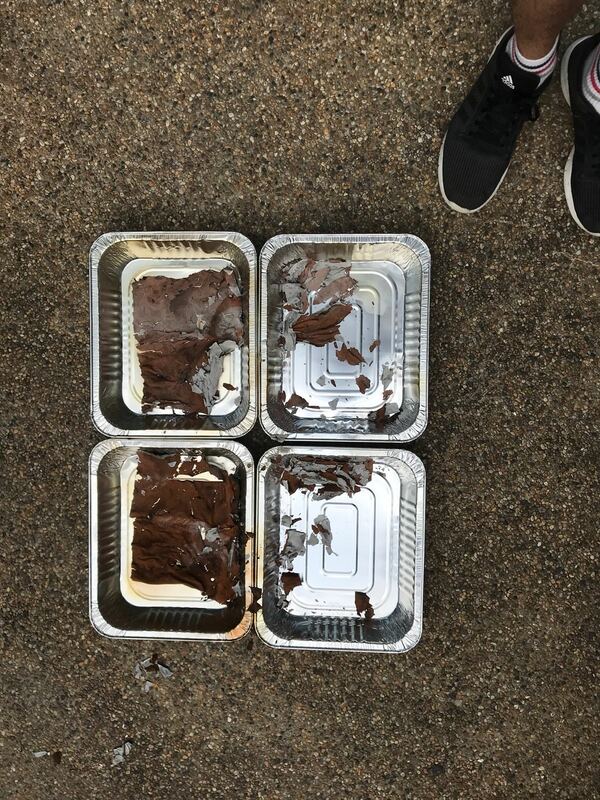 Instead of cutting or tearing the paper apart, we decided to burn it to create a duration-based artwork; a performance which the audience could watch us burn the picture. Through this, the Mona Lisa transforms from a static piece of artwork into something new, such as an experience or a performance. As a performance art, the deterioration of the artwork, from paper to ashes, creates a new quality through the destruction. Media Burn by the Ant Farm from the Interview with Chip Lord is a great example of such artworks, where it “exemplifies fascination with the automobile and television as cultural artifacts through looking at the impact of mass media in American culture.” It was their bold act which brought about their statement uniquely and in a new light. And what we challenge here, with our artwork, is to see beyond the act of “destroying” a beautiful piece of artwork. Instead, looking at the destruction in a whole new way and to defy the rules of art. As mentioned in Menkman, R. (2009) “Glitch Studies Manifesto”, “Glitch art is often about relaying the membrane of the normal, to create a new protocol after shattering an earlier one. The perfect glitch shows how destruction can change into the creation of something original.” With this, we wanted to set the world’s most famous painting on fire; a statement of defying the general rules of art. Thus, by shifting this perspective at how we look at destruction, it is the start of creating something original as the mass audience are used to looking at funnelled out content from the media. Another example mentioned by Lei was Ai Wei Wei’s, dropping a Han Dynasty Urn (1995), where Ai dropped an authentic antiquity. He was thinking about the themes of transformation and destruction. He embarked on collecting ancient vessels with the aim of converting them into contemporary art pieces. This is my first time coming across this piece and I found it really interesting how this artwork considered a form of consumer culture and heritage preservation. Lastly, In Randall Packer’s Conversation with Jon Cates (2014) Hyperallergic , Cates mentioned, “there is a poetic embrace of noise and error.” and the whole geist of learning about glitch is as what he mentioned. Through the previous project where we created glitch and the most recent one, the art of destruction, it has brought me to rethink about “aesthetics”. Both glitch and destruction are artistic expressions which embrace flaws and errors. In my opinion, the element of deconstruction is what makes these glitches and destruction something way more than it is. Glitch is just more than just dead/flawed pixels or destructed matter, the beauty of it is that, it could be organic glitches, such as glitches during performances. As we commonly associate glitches with the errors we see on screen and technical errors, this case of demonstrating glitch through performance art brought out the flexibility of glitch art as it can be, very organic, occuring during a live performance as well. This entry was posted in Uncategorized on March 15, 2018 by Kai Ting. The outcome of the artwork surprised me a little as the ashes looked different from what I normally see. (Lei says that it is brown because of the carbon).